When starting a new lesson or reading a new story, it could be helpful for not only ELL’s but also the whole class to do a KWL chart. This could be a whole class activity. First, ask the students what they already know about (topic). Make a list on the K. Then, ask students what they are curious about or would like to learn about (topic). Finally, once the lesson is over go back to the KWL chart and write what the students learned. This is a great summarizing tool at the end. One great use of a KWL chart is vocabulary lessons. Students can write words they have heard but don’t exactly know what they mean. 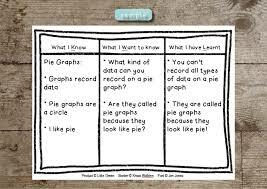 Students could also use the chart in small groups while working on lessons. For ELL’s this is another way to review the information and have it on paper for them to get another perspective. They could even have their own copy to write down their own KWL’s. During a content area the KWL could be used to prepare for a test. For example, in social studies the K column could be used to list facts/dates that specific events have happened. Looking at the study guide, they could list the events they haven’t learned yet in the W column. Once they have found the events/dates they could list it in the L column and do a summary at the end. The ELL’s will be able to use this as an additional study guide. ​When beginning a new math lesson this could be a great start. Like is stated in reading, this could be a whole group or small group or even individual. There could be math problems like adding and subtracting in the K column and the W could be multiplication and division. When they have learned the basics of multiplication and division they can put examples on the L column. This will help ELL’s by laying everything out on paper and talking about what they have already learned, will learn, and leaned. This video is a quick 30-second clip from Compass Publishing about how to integrate the KWL chart into your classroom.